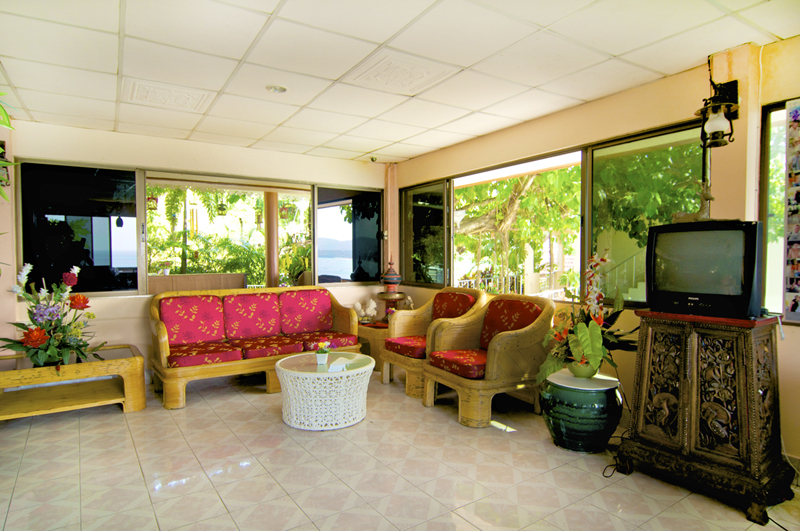 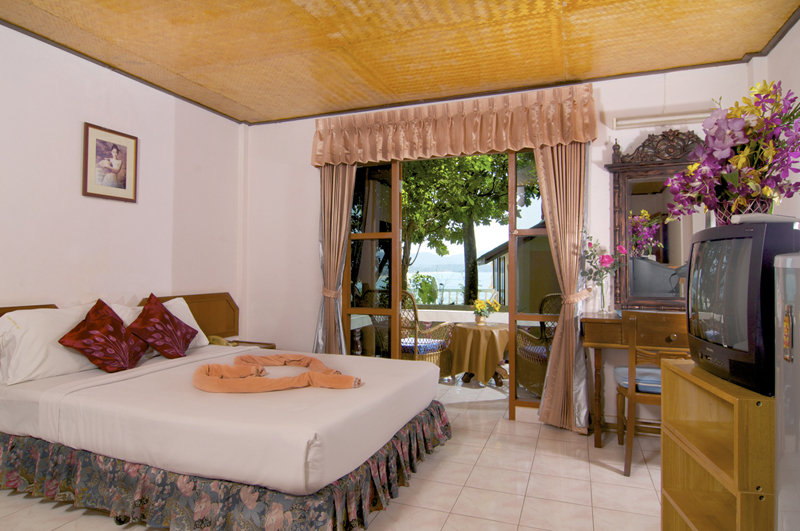 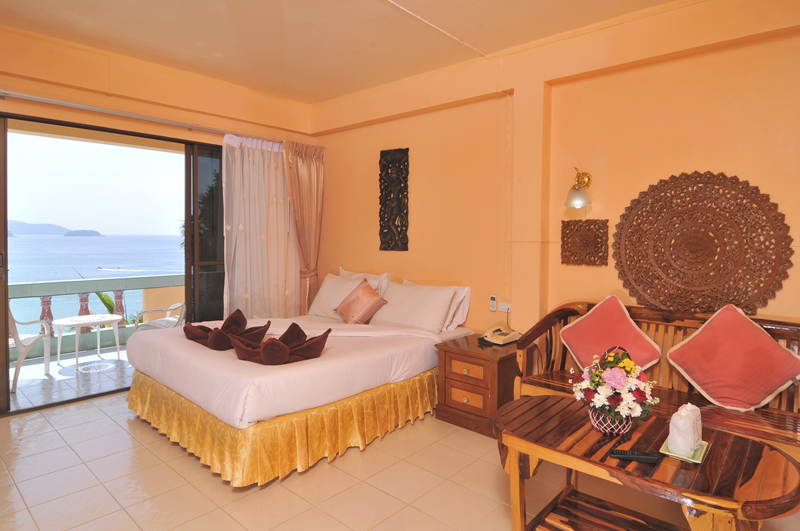 All our bungalows have elevated sea views set amongst sahdy tropical gardens. 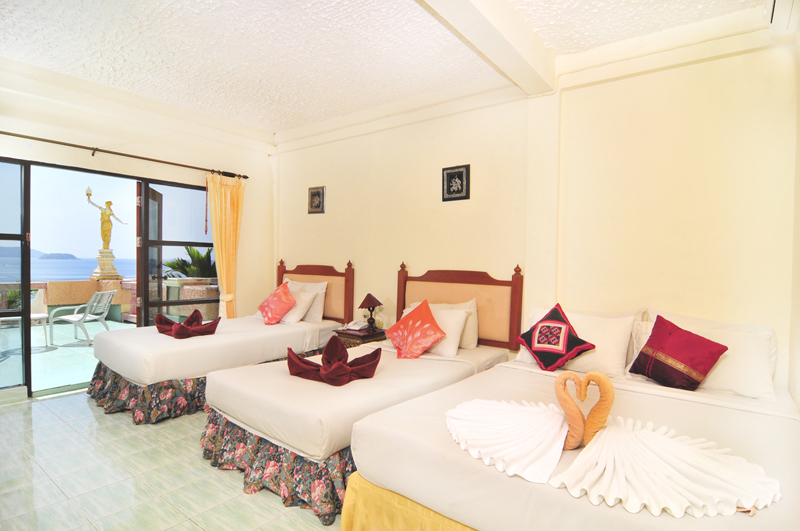 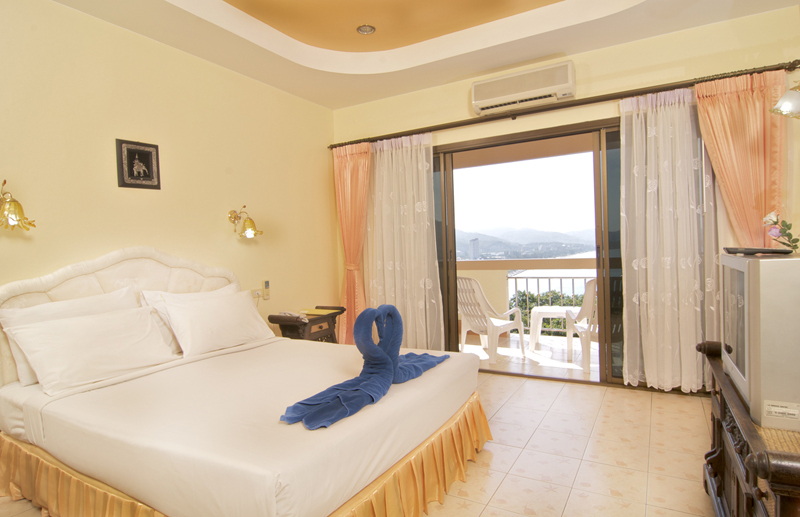 We have 25 rooms 8 of which can be connected to make spacious family rooms. 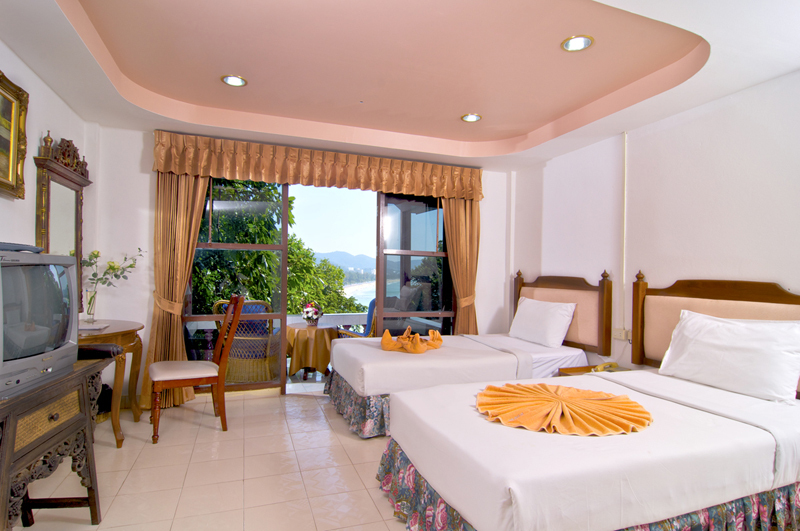 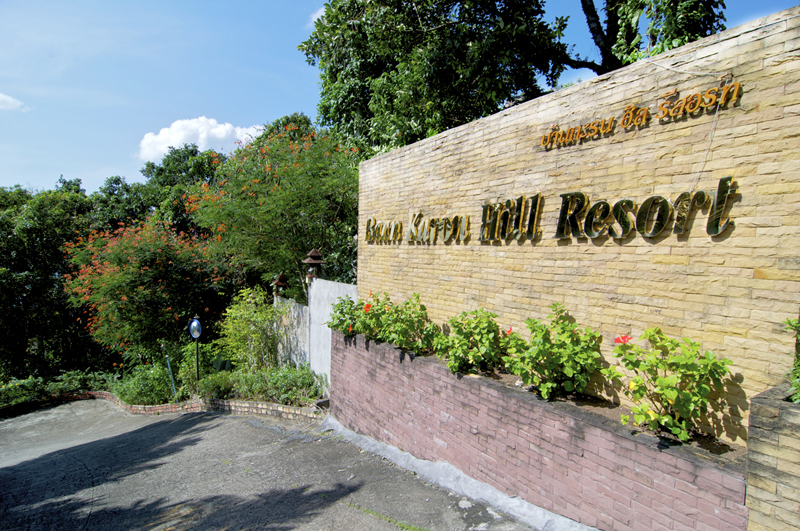 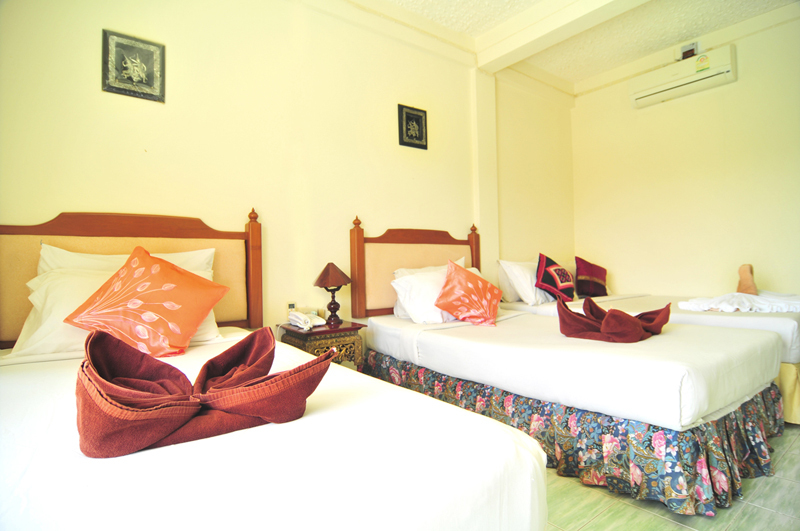 Each room has double/single beds, satellite TV, telephone, fridge, double wardrobe and aircon, bathroom has hot/cold shower. 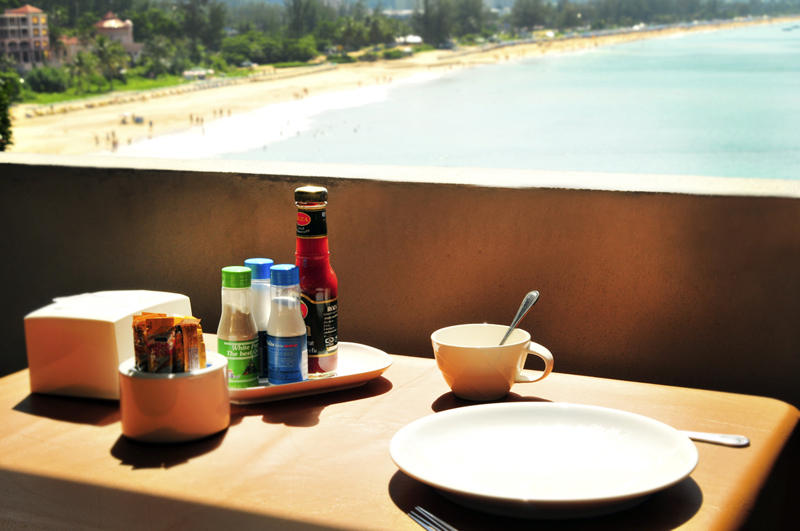 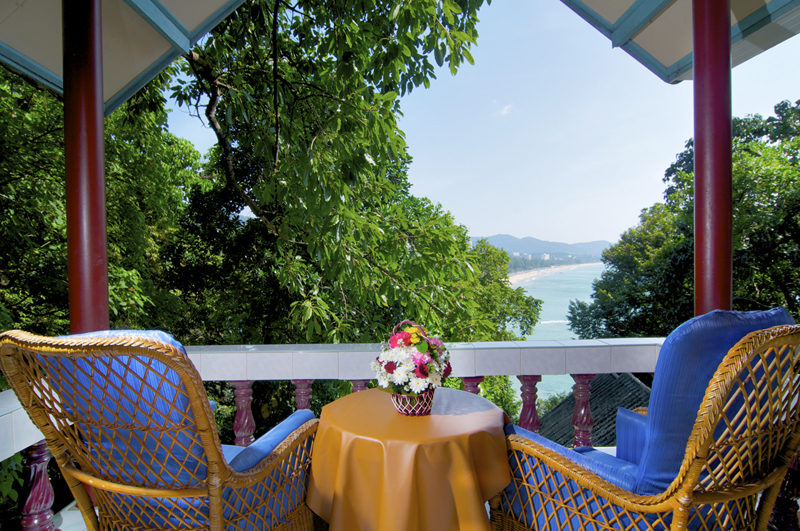 Take time out from the beach to relax on your own private terrace with a long cold drink and take in the spectacular views. 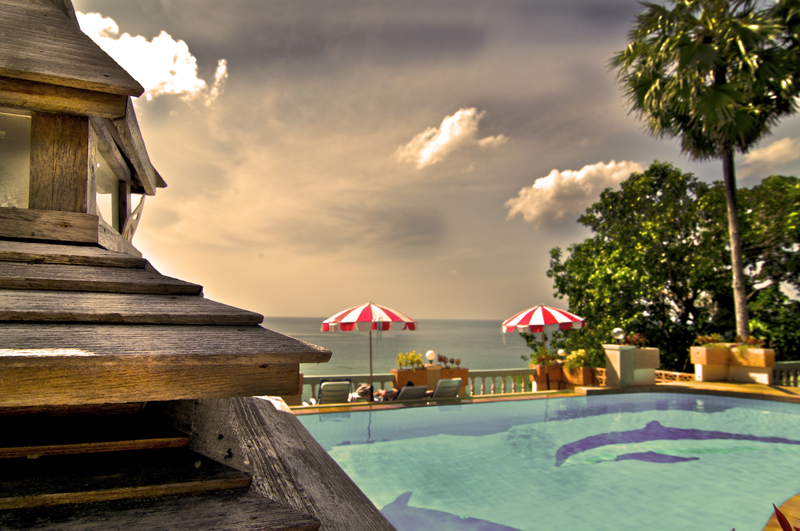 The seclusion of this location will ensure that each guest is assured of a peaceful night's sleep. 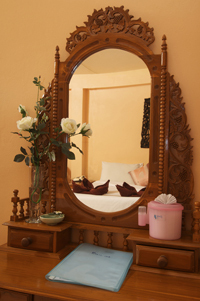  All rooms are clean and comfortable, excellent value at reasonable price.